We have tradesmen available today! We’re ready to help with whatever you need. 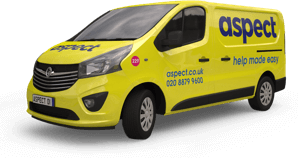 We can answer your questions, give helpful advice and schedule a tradesman or estimator to visit you. Prefer to email or for us to call you back? Someone in our team will reply within minutes. Tell us about what you need help with. The more detail we give to the tradesman the better. Sharing photos can be really helpful. If you're an existing customer and we have enough information we won't need to phone you back - unless you want us to! Providing photos sometimes helps us to either diagnose a problem, or give a cost estimate for the work, before a tradesman is booked. Tick this box if you would like to be added to our marketing mailing list and receive news and special offers. You can unsubscribe at any time and we'll never share your details with other companies.